Are you ready for a new treasure hunt? The season is open! 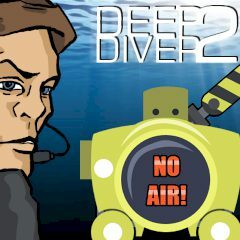 Submerge your submarine into deep blue waters and explore the sea bottom in search for treasure and rare kinds of fish! Do not forget to come to the surface in order to refill your oxygen resources! Good luck!